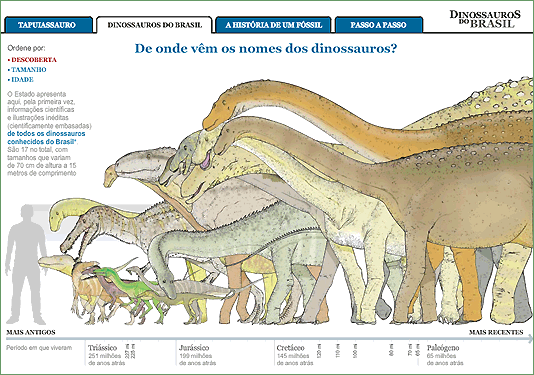 This might be the best interactive information graphic ever. What do you think? I love the simplicity of the rollovers. The multiple information (timeline, map) delivered in the top image below is delightful. 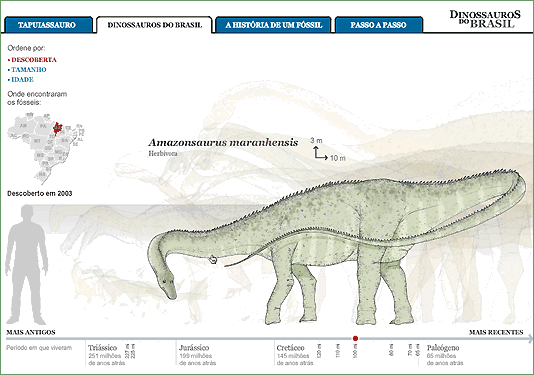 Tapuiassauro, o novo dinossauro do Brasil won a gold medal at this year’s Malofiej (see links to all awards). Spencer – I know what you mean. I am all in favor of using HTML5 and jQuery for menus, nav, simple slideshows, accordion information sets, etc., etc. But if you want to make a rich graphic like this one — Flash is the only thing that makes good sense. At least for now! 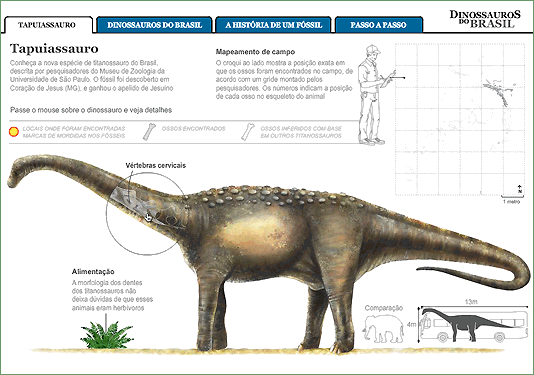 I love this infographic and many other made for “O Estadão”. They have a big staff to multimedia and graphics contents. I would like know how they made this using googlemaps and xml.